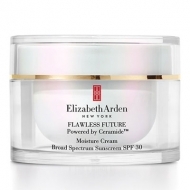 DESCRIPTION: Flawless Future Caplet Serum from Elizabeth Arden is a unique liquid serum that provides a refreshing burst that initially clings to the skin and then dries to a light and smooth finish. 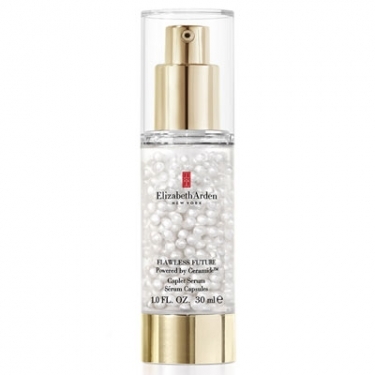 This product helps to strengthen essential moisture barrier of the skin, evens skin tone and reduces the appearance of wrinkles early signs. 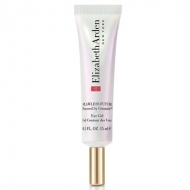 Rejuvenates the appearance of tired skin for a more energized complexion. Apply in the morning and in the evening on clean face before putting moisturizer. Use a single spatter for each area (forehead, cheeks and chin).